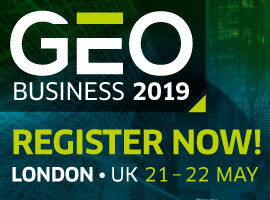 The nominees were selected by an eminent jury chaired by Greg Scott, the UN's Inter-Regional Advisor on Global Geospatial Information Management. Geospatial World Leadership award will be presented on April 2nd during the Gala Dinner at Geospatial World Forum, in Taets Art And Event Park, Amsterdam – Zaandam, The Netherlands. 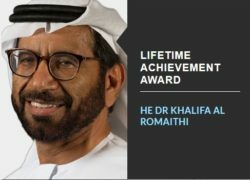 Lt Gen (Retd) Dr. Khalifa Al Romaithihas been instrumental in advancing geospatial profession in the Middle East and is considered as ‘Father of Geospatial Community’ in the UAE and the region. Having served as head of Military Survey, it was his leadership which facilitated establishment of NSDI in UAE and encouraged and supported similar initiatives in the region as early as 2004. Recognizing the growing value and demand for geospatial information for governance and development, Dr. Khalifa championed the availability of geospatial data through civilian organization like Bayanat LLC. The UAE Space Agency was also established under his leadership, which brought momentum to the field of space infrastructure and policies in the region. While pursuing his mission of institution building, Dr. Khalifa has provided leadership as Chair of Space Reconnaissance Centre — an organization entrusted with the development of space applications for development and security. 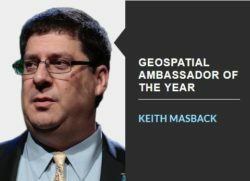 A former US Armyman, Keith Masback is a leading international authority on geospatial intelligence and was the CEO of United States Geospatial Intelligence Foundation until recently. 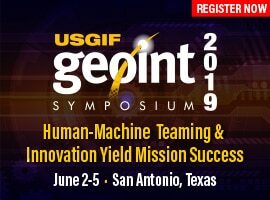 Over the years, he led USGIF from the front in its mission to promote the geointelligence tradecraft to develop a stronger GEOINT community among government, industry, academia, professional organizations and individuals. Masback has been a true ambassador of geospatial technology, as he worked towards involving the next generation through various programs and focused on building a strong base for geospatial education in American universities. Jeff Glueck has been instrumental in Foursquare’s transformation in recent times. 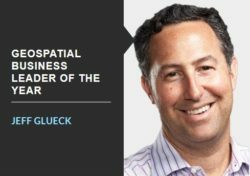 Under his leadership, Foursquare shed off its image of a long forgotten consumer app to emerge as one of the foremost companies in location intelligence, which helps brands locate, message and measure their own consumers. Foursquare technology powers location data for Apple, Uber, Twitter, Microsoft, Samsung and 150,000 other developers. 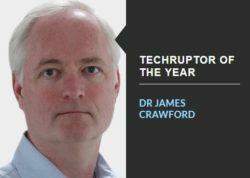 An expert in artificial intelligence and space systems, Dr. James Crawford utilized his long experience of working in NASA to lead the foundation of Orbital Insight way back in 2013, when commercialization of space for earth observation was still on the cusp of a new era. He was a pioneer in leveraging the power of Artificial Intelligence to create a whole new system of spatial information for understanding and characterizing earth observation for socio-economic purposes at global, regional, and hyper-local scales. Ingrid Vanden Berghe is a pioneer of GIS implementation in Belgium. Berghe has also led the implementation of the European law on environmental impact studies. 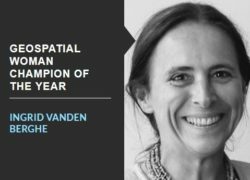 Throughout her career in various capacities — often at some of the top positions in the geospatial domain for Belgium government — Ingrid has been a tireless champion of technology for betterment of the society in the country and Flanders region. 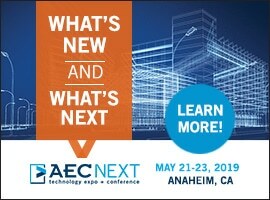 The Ethiopian geospatial sector is evolving with the times. And leading this initiative is the Ethiopian Geospatial Information Institute. The result of a structural reform, the organization was set up in October 2018 by vesting powers and duties given to both the Geospatial Information Agency and the Information Network Security Agency, to support the growth and transformation agenda of the country by providing quality geospatial information to stakeholders. Mandated to implement the National Spatial Information and Technology Policy, the institute has already collected and processed larger GSD photogrammetric data covering 43% of Ethiopia’s landmass, and produced large scale topographic, thematic and cadastral maps. In addition to its vision to work with international partners to build its technical capacity, its implementation of national spatial data sharing geoportal with service 24 hours a day, seven days a week to make country’s geo data open and free is most commendable. Royal Melbourne Institute of Technology has supported the advancement of the geospatial sciences by integrating the subject throughout several curricula. Its unique mixture of a geospatial and mathematical program, and proactive and innovative outlook attract scores of students every year, thus helping churn out industry-ready professionals. Further, the institute’s belief that diversity is the cornerstone of quality is exemplary and is reflected in its high quality research and faculty. IMGeospatial leverages artificial intelligence and location-based and remote sensing data in a unique manner to extract actionable intelligence for businesses. Within a few years of its existence, the company has already worked with and provided solutions to well renowned agencies such as The World Bank, the European Space Agency, Affinity Water, and the UK Space Agency. Still a bootstrapped startup without VC investment, IMGeospatial caters to a myriad of industries providing simple yet effective solutions that drive down costs and project duration.